Not sure what you want to do this spring break? Hoping to get the most out of your week? This year, Northside is sponsoring five trips that allow students to experience new cultures, visit new sites, and hang out with friends. With the multitude of unique opportunities available, students may find it difficult to comb through all of the information. In order to make the process of choosing which trip to attend easier on students, the Hoofbeat has taken the liberty of compiling the basic information on each. “Pictures do it no justice,” said Mr. Barry Smith, assistant principal, when asked about the canyon. Along with Ms. Ayesha Qazi, science department, and Madam Crystal Schaldenbrand, World Language department, Mr. Smith has co-curated Northside’s newest spring break trip to the Grand Canyon. The trip will last five days during spring break and will be Northside’s first national park trip. It will consist of outdoor activities including camping, hiking, stargazing, a dam tour (with a lot of dam jokes), and skill learning, such as meal planning and cooking. For those who are new to camping or hiking, Ms. Qazi and Madam Schaldenbrand will be leading a colloquium to provide students with essential information and help prepare those who are participating. The administration estimates that the trip will cost $1200 with everything included; however fundraisers are expected to lower costs to about $1000. 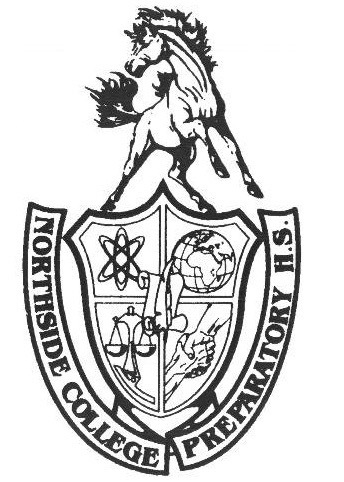 The Northside administration is looking to take a group of eight to twelve committed students. Anyone interested in participating should join the Grand Canyon classroom with code 3p0fbeg for updates. In collaboration with the Korea Science Academy (KSA), Northside College Prep students have been given the opportunity to visit South Korea this year over spring break. The cultural exchange, led by Mr. Charles Milbert, Social Science department, runs from April 11-19, 2019. Attendees will land in the city of Busan where they will arrive at the KSA campus. NCP students will stay in the campus dorms with their assigned KSA student. Northside students will have the opportunity to attend KSA classes and be immersed in a new educational environment. In addition to exploring the city of Busan, attendees will travel to the city of Seoul, where they may spend a night or two with their host’s family. Regardless of whether or not homestay occurs, Mr. Milbert said Northsiders would “most likely” spend a day in Seoul. Throughout their time in South Korea, attendees can expect to visit a range of hotspots and attractions, including ancient temples and tombs, bustling street markets, and aquariums. The majority of the fees associated with a typical spring break trip are covered by KSA students and families. NCP students are only expected to pay for their plane ticket and an additional small fee to cover the cost of chaperones. In exchange, students who participate on the trip are expected to host KSA students the following year. For this reason, it is currently unclear whether or not seniors will be able to participate on the trip due to their inability to host the following year. However, Mr. Milbert is optimistic that seniors will be able to complete an alternative task in order to participate in the exchange. For more information, contact Mr. Milbert at cdmilbert1@cps.edu. Here is something you probably have not thought about in a long time: Lizzie McGuire. In the film, Lizzie embarks on the “trip of a lifetime” to Italy’s capital city, Rome. During the trip, Lizzie happily tosses pennies into the Trevi Fountain and sings along with Italy’s most famous pop star. This spring break, Northside students will have the opportunity to travel to Rome and imagine themselves as Lizzie in their own adventure. Rome’s history dates back nearly three thousand years, and is renowned as one of the most world’s most visited and beautiful cities. On this trip, students will see the ancient architecture of the Roman empire, view some of the world’s most famous works of art, and eat famed Italian dishes. Mr. William Nifong, World Language chair, will oversee the trip, which is organized through an educational tour company called Education First. Students can view the itinerary, which includes famous stops like the Colosseum, the Sistine Chapel, Pompeii, the island of Capri and more, on https://www.eftours.com/tour-website/2096932BD. Mr. Nifong expects the trip to last nine days, with a departure on the last school day before spring break and a return around April 20, with exact dates to be set soon. This spring break, Northside students will have the opportunity to adventure across four of Spain’s major cities: Madrid, Seville, Granada, and Costa del Sol. Led by Ms. Janet Torres, World Language department, the trip is open to all Northside students, regardless of Spanish proficiency. The trip will last nine days; students will leave on April 12, 2019 and return on April 20, 2019. During their time in Spain, students will visit numerous monuments and architectural rarities including Palacio Real, don Quixote’s windmills and the Seville Cathedral. This opportunity is a great way to gain new experiences and knowledge of Spanish culture and language as students are expected to utilize the Spanish language throughout the trip and keep a daily journal of their experiences. The total cost of the trip is $3295 which may be paid in monthly installments. The cost covers most of the trip including airfare, transportation while in Spain, two meals daily, daily tour guides, coach buses, and guided sightseeing. Students are financially responsible for obtaining a passport, transportation to and from the airport in Chicago, lunch every day, as well as any souvenirs they would like to purchase along the way. Any students interested in the trip should reach out to Ms. Torres through email (jtorres2@cps.edu) and sign up at https://www.eftours.com/tour-website/2130406JU. This year, Northside College Prep is holding a spring break trip to England, which is for open for the entire student body. Ms. Theodore Vosnos, Special Education department, and Ms. Sonia Fernandez, Counseling Department, are both leading the trip. This will be Ms. Fernandez’s second trip to England and Ms. Vosnos’s first trip with Northside students. Students will visit Oxford, Stonehenge, and Stratford (the birthplace of Shakespeare). Students will leave Thursday, April 11 and return the following Thursday, allowing students three days to recover from jet lag or complete any unfinished assignments. Ms. Vosnos and Ms. Fernandez are excited for the trip and the experience it will provide students. Ms. Fernandez expressed her opinion on the importance for traveling in general, saying that “I feel that, if possible, every student should have the opportunity to go outside the US to learn about other cultures.” Ms. Vosnos expressed how eager she is to see the lush countryside during springtime. There is no limit to how many students can go, so long as they are willing to pay the $2,895 cost of the trip. Come and enjoy the beautiful scenery and culture of England during Spring Break.